Tie Guan Yin or Iron Goddess is probably the best known Chinese high-grade Oolongs. A light, semi-fermented, whole-leaf tea that is low in caffeine, high in antioxidants and particularly beneficial around meal times. The fresh, earthy flavour carries a lingering aroma, as well as subtle undertones of florals and fruits. I adore Oolong teas. They seem to me to be just a little more complex … a little more flavorful … a little more interesting … than most other types of tea. Probably the only type of tea that I like better than Oolong is a yellow tea, and due to the rare nature (and higher cost) of yellow tea, I enjoy Oolong teas more often than I do yellow, which I tend to reserve for occasions as rare as the tea leaf itself. So, when I received this Oolong from Byron Bay, I was very excited to try it. Having been quite impressed from the other teas I’ve tried from Byron Bay, my expectations were high for this Oolong, and I’m pleased to report that Byron Bay did not let me down! This Tie Guan Yin has a lighter body than some ofther Tie Guan Yin teas that I’ve encountered. The floral character is a little stronger in this tea, which cuts through some of the heavy buttery notes just a little. The result is a cup that is very pleasantly floral, lightly sweet and possesses hints of buttery undertones. Delicious! 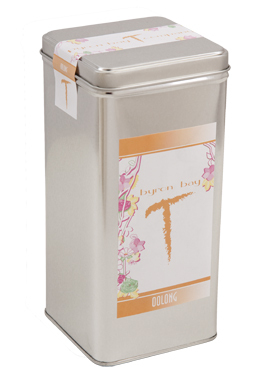 This tea is very smooth and has a rich taste despite it’s lighter quality. The mouthfeel is not as thick as some Oolong teas, but it is soft and silky. This tea is very enjoyable to sip.